Passover is the pre-eminent Jewish home holiday (although going to synagogue the first and last day is also traditional). Passover is the holiday that commemorates our redemption from slavery and our exodus from Egypt. Moses the shepherd is chosen by God to approach Pharaoh and demand freedom for the Israelites. Pharaoh refuses. After 10 famous plagues, the Israelites are allowed to go. They leave in haste and arrive at the banks of the Red Sea as Pharaoh changes his mind again. The final showdown ends dramatically when the sea splits in two, the Israelites walk through the sea-bed to safety, and the Egyptian army drowns as they attempt to follow the Israelites through the suspended waters. The ritual most observed by American Jews, according to surveys, is not lighting Hanukkah candles or fasting on Yom Kippur, but attending a Seder--a festive spring meal full of symbolism and good food--on Passover. The Passover Seder has endured and evolved, carrying with it some ancient symbols, ethnic foods, and bold universalistic declarations wrapped in the particulars of the Jewish experience. It also has remained in the mind's eye of most Jews as the nostalgic centerpiece of warm and crazy memories of Jewish family gatherings.Perhaps the leading factor for Passover's super-status is--what else--food. In Passover, more than any Jewish holiday, we have the complete melding of food, ritual and symbolism, and thus of body and soul. Seder nights are magic. They both transcend and unite history. They are also an ideal learning environment. They provide for all different learning styles. The Seder combines reading, singing, tasting, acting - a little of everything. Seder night also connects us to generations past, present and future. As we sit at the Seder table, Jews around the world sit with their families, singing the same songs, retelling the same story, dipping the same karpas and, hopefully, enjoying a magical time with their families. As your family sits down to relive the Exodus from Egypt at the Seder, create your own Seder memories. Each of us has wonderful Seder memories from our childhood. Whether it was the first time you were able to ask the Four questions or the first time your child was able to ask them - they are memories that will last a lifetime. As you prepare for your Seder, remember to involve your children in the process - add songs, stories, special activities. Families have shared stories of the special “Seder Memories” that they have, be sure to create your own. The goal of the Seder is for “every person to see him/herself as if he/she personally went out from Egypt,” (from the Haggadah). The Passover Haggadah: There are many different Passover Haggadot available - new ones arrive every year. There's the Passover Haggadah Graphic Novel, The Thirty Minute Seder, The (unofficial) Hogwarts Haggadah, the new Haggadah of the Reform Movement, Sharing the Journey, and the The New Haggadah, Celebrating Freedom, created by Rabbis Rick and Susan Rheins. The list goes on and on. A wonderful resource to create your own Haggadah is Haggadot.com. 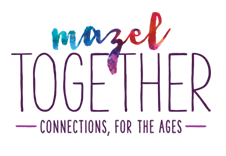 Their simple platform allows you to create a custom Passover Haggadah, with access to unique content contributed by the Haggadot.com community. Find artwork, family activities, translations and songs in their library to enliven your Seder experience. The Story of Passover: The Story of Passover is quite simple. “We were slaves to Pharoah in Egypt, but Adonai our God brought us forth with a mighty hand and with an outstretched arm.” On Seder night, our national experience becomes part of the story of our family history. Passover provides children with the opportunity to again ask their parents, “Tell us the story of when we were slaves in Egypt.” The Passover celebration gives us ownership of the Jewish story and its messages, for it is our story - the one that we tell to our children in our own way just as our parents told us in theirs. That is why the two-part essence of the Passover celebration is 1) for “Every person to see her/himself as if he/she personally went out from Egypt” (from the Haggadah) and 2) “You shall tell your child..it is because of what Adonai our God did for me that I went free from Egypt.” (Exodus 13:8). Seder Ideas: Ideas to make this Seder different from all other Sedarim. Charoset Around the World: Explore the many different traditions for Charoset. Miriam's Cup: Add the custom of including a Miriam's Cup to your family Seder. Elijah's Cup: A new tradition for Elijah's Cup. There are so many wonderful videos to enhance your Passover celebration. Click here to view a list of our favorites. THE READING OF THE MEGILLAH: The central mitzvah of Purim is that of hearing the public reading of the book of Esther. Whenever Haman’s name is read, it is customary to break out in loud noise to fulfill literally the curse, “May his name be obliterated.” However, during the rest of the Megillah it is important to listen quietly in order to appreciate best and learn from this story. The Megillah will be read on Wednesday, March 20, at 6:00 p.m. 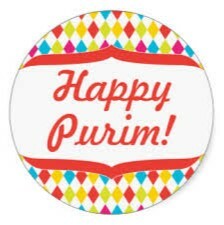 The reading is followed by our Purim Shpiel at 7:00 p.m. - a fun time for all! The Megillah reading is a wonderful opportunity for children to sense a special feeling in the Synagogue. Even without understanding the context, a child will immediately associate Judaism with pure joy and celebration. He/she will feel bonded to a people and community who know how to laugh, who love their tradition enough to play with it and enjoy it. THE GIVING OF SHALACH MANOT: Shalach Manot is a simple mitzvah. It is just a matter of giving a gift of two or more kinds of food to the small circle of people you feel are important in your family’s life. This too is another act of celebration, rooted in a command Mordechai gave to the Jewish people after their victory. He said, “these days (Purim) should be observed as “a time to send gifts to one another and presents to the poor.” (Esther 9:22) There is nothing elaborate about Shalach Manot - a couple of hamantashen and a banana on a paper plate specially decorated by your child, or a small basket filled with chocolate and some of your secret recipe cookies - but it provides another of Purim’s wonderful opportunities. The mitzvah of Shalach Manot not only allows for the “joy of giving,” but is intrinsically a statement of connection. The process of making a Shalach Manot list, preparing and delivering these gifts, is a wonderful way of identifying explicitly the family and community who influence your life. It is a wonderful way of teaching that “we are not alone." (Don't be afraid to be the first to start the Shalach Manot tradition). MATTANOT LA-EVYONIM: One mark of the Jewish tradition’s genius was its innate sense that every moment of significance, every formal gathering, should include an opportunity for giving tzedakah. Tzedakah, coming from the Hebrew root which means “justice,” is the obligation to help those who are in need by sharing part of the wealth we have been fortunate enough to accumulate. From its ancient biblical roots, Judaism had a sense that participation in the total celebration which Purim offered would be a selfish act (and not a force for world transformation) unless tzedakah were part of the process. A DAY OF CELEBRATION: The Talmud gives us a clue. It says, “When a person enters the month of Adar (the Hebrew month in which Purim falls), joy increases.” (Ta’anit 29a). Joy and celebration are the central order of the day. Making Purim day into a celebration is an important Mitzvah of Purim. In Megillat Esther, Mordechai commands the Jewish people to make the 14th of Adar into a day of “feasting and gladness.” (9.22). From this verse, the rabbis made part of the celebration of Purim the participation in a Purim Seudah, a festive Purim meal. In previous generations, the Purim Seudah ranked with the Passover Seder as a major family event in the annual social calendar. Purim Videos: To view Purim Videos (stories and songs), click here. Click here to access our live streaming services! Temple Sinai Religious School offers programming for students in grades Pre-K - 10. Click HERE for information. Temple Sinai Member's Accomplishments, Achievements and Nachas! Click here to download the Chavurah Guide! Click here to see what our teens have to say! Set your legacy in stone and show your pride in our amazing community by purchasing a personalized, engraved brick that will be beautifully displayed outside our main building, to be seen for years to come. Please contact Temple Sinai at 303.759.1827 or by email.